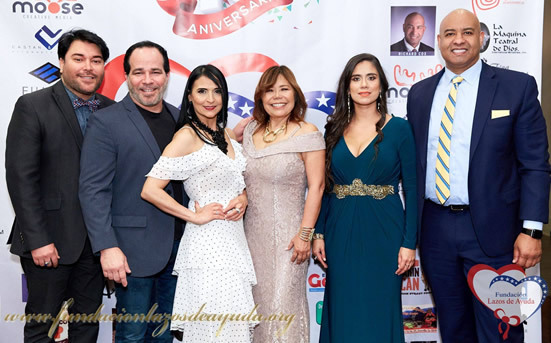 10th Anniversary "LAZOS DE AYUDA FOUNDATION". Thanks to the Consul General of Peru in Atlanta, to Mr. Miguel Aleman Urteaga, to Pastor Nicolas Dominguez for his assistance and reflection through the Word of God, to Blanquita Dominguez and Grecia Osborne for bringing us the spirit of love to God and their support in the organization and conduct of the Tenth Anniversary event "FOUNDATION LAZOS DE AYUDA". A thank you to all the artists who gave us the best of their talent: Aklla Sumaq, Corinne Oviedo, Andean Dawn Christian Zamora and Heather Wolters, Nardo Puro Dance, Blanca Dominguez. Acknowledgment for the volunteer sponsors Mr. Richard Cox, Pascal Vieillard and Dolly Paquita Vasquez Aguilar. A thank you to all the sponsors and volunteers who have supported us in these 10 years. It was a night of joy for our 10 years working for the sole purpose of spreading Solidarity, Charity and Commitment for the welfare of others; we have the moral responsibility to provide support and social help and we thank God for uniting us in this bond of love and for allowing us to continue working for the love of the most needy.